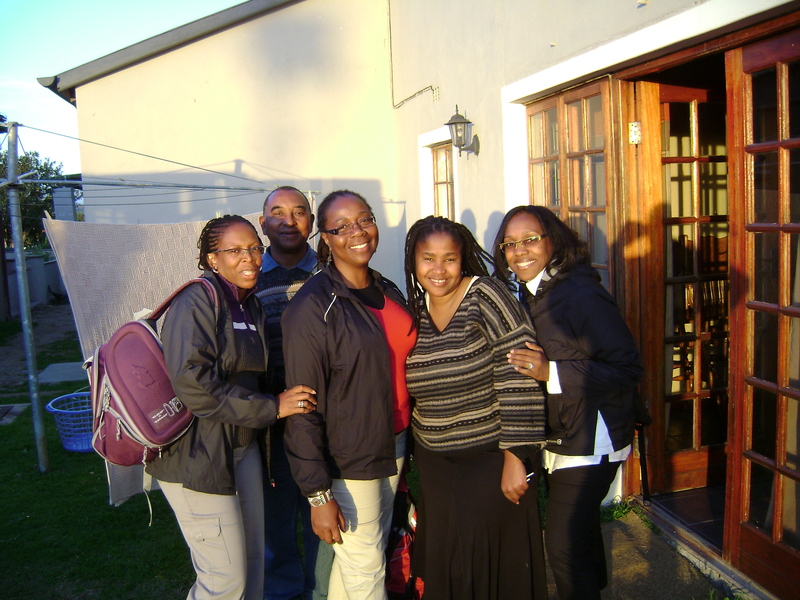 Before we left the U.S., we had identified a black owned vineyard, M’Hudi, that we wanted to visit. Since we were running late, Ian called ahead to let them know we were on our way. 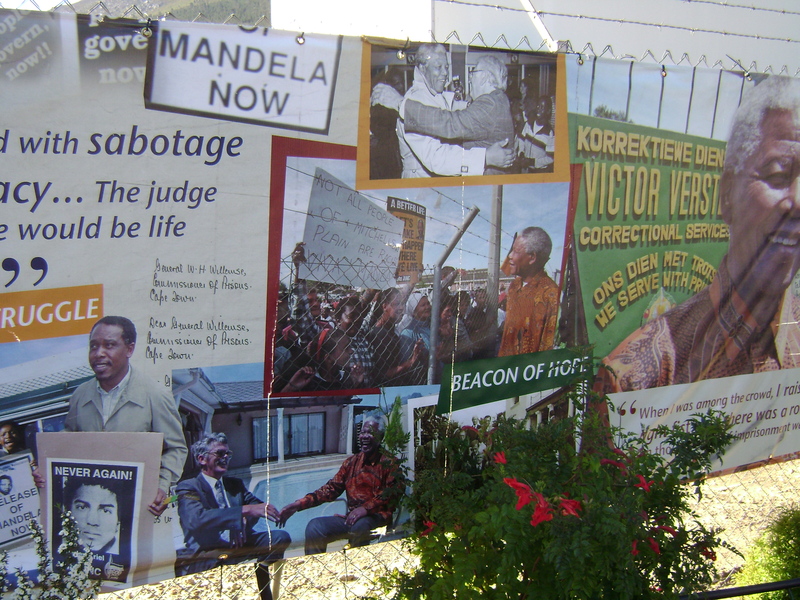 He also suggested that we visit Victor Verster, the prison that Nelson Mandela was released from, that was on our way. 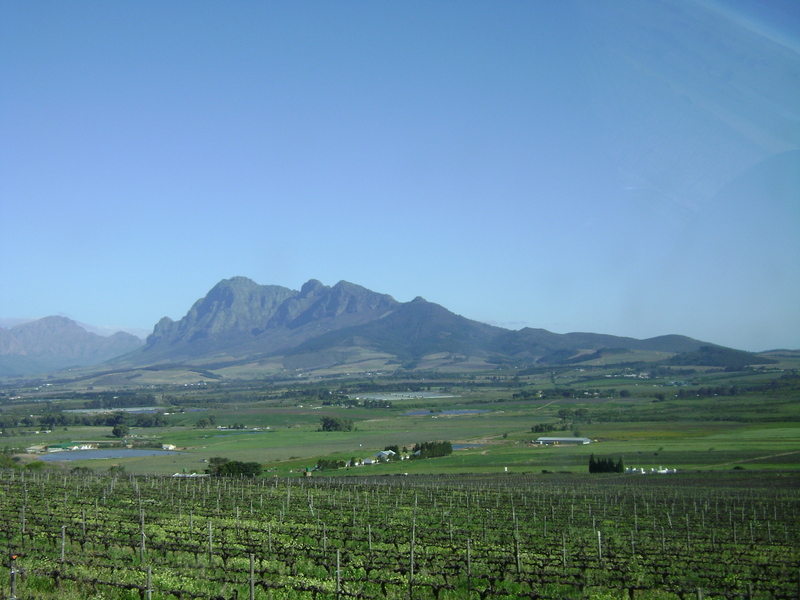 By the time we arrived at M’Hudi, they had completed their last tour for the day but we were met by Diale (Oupa) Rangaka, professor turned viticulturist, who gave us a tour and explained the history of his family’s business. 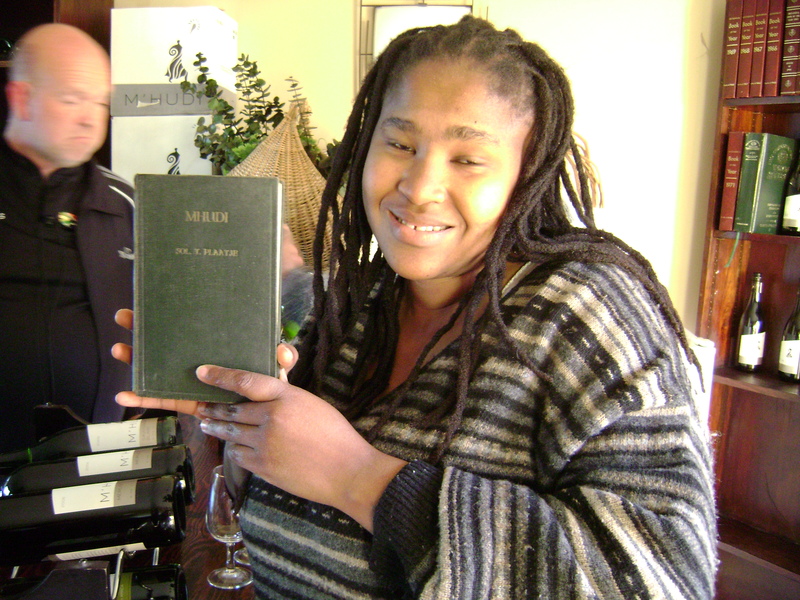 According to daughter, Lebo, local marketer of M’Hudi Wines, her father had been an armchair farmer — she says she couldn’t remember a time when farmers’ magazines were not around their house. When the time came, the family looked for a cattle farm. They got a vineyard instead. 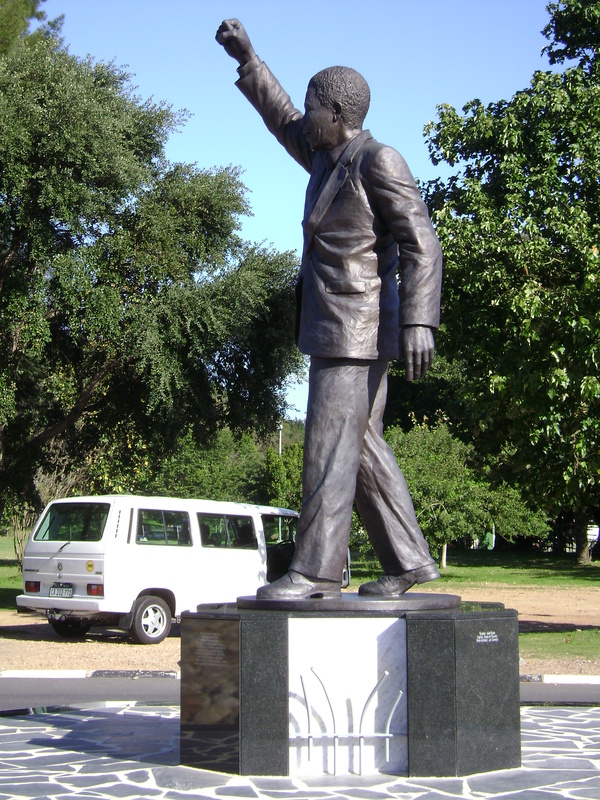 Literature lovers, they decided to name their new farm, M’Hudi, after the book by the same name written by South African writer, Solomon Plaatje. They didn’t let their lack of experience growing grapes stand in their way. 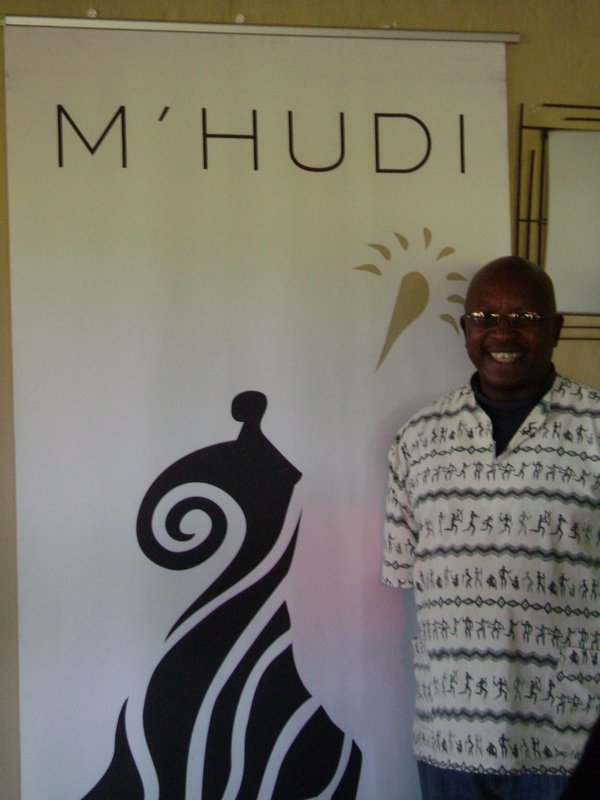 Six years later, under the guidance of matriarch and CEO, Malmsey, M’Hudi wines were selling in Marks & Spencer in the UK and available in the US. 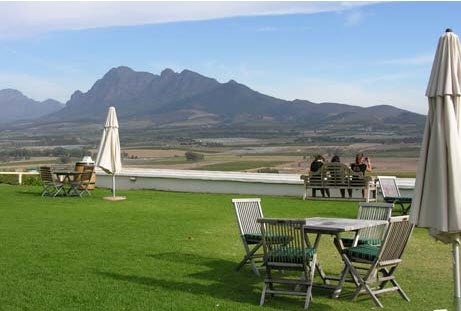 M’Hudi Wines have won several awards including the 2010/2011 Emerging Tourism of the Year Award. ← Pelican Bar: We’re going there? !